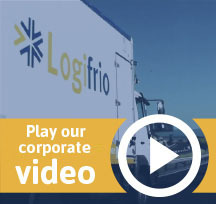 The temperature-controlled logistics network Logifrio walks on the market with a strategy focused on the acquisition and consolidation of large accounts and reinforcing a cornerstone of its business: logistics services to foodservice companies. The tasks for the sector and exporter movement will do this year raising the incomes of the structure 3%, according to the forecast provided by representatives of Logifrio. After a year -2012- in which his business shrank by loss of Condis account and overall volume reduction, Logifrio return as well, this year's revenue figure of 2011, 63 M€. 50% of the total amount of its business will proceed as for foodservice, whose income will increase in 2013 by 4-6 %. Higher relative growth of 20%, recorded its export business, customers animated meat basically. Around 11M€, 17 % of the total estimated income - come from their work for the retail sector, Logifrio activity that now has two clients: Miquel Alimentació and Food surfaces ( Sorli ). The remaining 30-33% of its revenues come from the services to another large customer profile of the network: the manufacturers of food items. 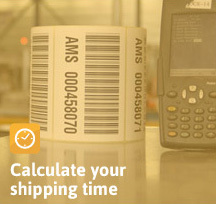 Its operational for foodservice is, therefore, the first area of business for Logifrio. The network has found a growing gap in that sector business, demanding a more complex operational and logistics services less affected by the price war, directed against the retail sector. For those customers in the hotel industry, catering and communities, Logifrio offers "high capillarity" and geographic coverage that reaches the entire peninsula and archipelago. Are the claims Logifrio said they found the last two customers of the branch added by the structure: Topgel and Sodexo. Now, the network has reported being "consolidated all Sodexo operation, which began in the second half of 2012," which has placed contract catering group said one of the main customers of Logifrio in that business. In order to improve its services to the field, it claims to have "increased investment in information systems to continue to deliver value to our customers both in terms of real-time information on deliveries, as in giving visibility into the location of capillary distribution vehicles for the target customers." Logifrio, fifth fridge logistics operator as stated in the last report on this business published by TransMarket - coordinates services of a network of logistics operators, led by Transport Garcia Villalobos (gyv) and the Galician Rías Altas Express, with a total 30 platforms. The very gyv - owned by the Garcia Villalobos and Nazca, this holder of 46 % - and Rías Altas subscribe for 90.5 % and 9.5 % respectively of the management company's own management Logifrio Refrigeration.